The Back Bay neighborhood is surrounded by the Charles River to the North, the Boston Gardens by the East, high rise commercial buildings and hotels to the South, and Massachusetts Avenue on the West. Guests often start their day with our complimentary breakfast and are invited to explore our wonderful neighborhood from morning to night. One of the most popular historical activities for Boston visitors is the Freedom Trail. Tours start at State House atop Beacon Hill and lead visitors to The Old State House (site of the Boston Massacre), The Old North Church (where the signal "One if by land, Two if by sea" originated), The U.S.S Constitution (better known as "Old Ironsides"), the Bunker Hill Monument ("Don't shoot 'til you see the whites of their eyes! "), the Old North Church, Paul Revere's House and many other notable stops honoring famous Bostonians. Guests can also visit patrician homes on Beacon Hill. Several of these stately homes were part of the Underground Railroad, and can be visited on the African-American Heritage Trail that winds through Beacon Hill. The Newbury Guest House is also a short distance from the Charles River Esplanade, which offers scenic jogging and biking paths along the Emerald Necklace, so called for the green spaces that line the Charles River. Our front desk concierge is knowledgeable about the many historical sites around the city and are happy to provide guidance to guests, including information on the various Boston Harbor Cruises and day-trip directions to Martha's Vineyard and Nantucket Island. Boston is world renowned for its exceptional colleges and universities. With over 100 schools in the greater Boston area, it's likely you'll pass through many different campuses during your visit. Some are historical and some are new, but all integrate into the city to provide unique and beautiful campuses to compete for the some of the world's best students. One of the closest schools to the Newbury Guest House is the esteemed Berklee College of Music, just a ten minute walk from the hotel. In the warmer months, guests are often serenaded by the world-class musicians out of Berklee that entertain up and down Newbury Street. Our front desk concierge has a wealth of knowledge about local colleges and universities and are always happy to offer guests directions to any campus and schedule tours. Boston is a sports town. With such famous home teams as the New England Patriots, the Red Sox, the Boston Celtics, and the Boston Bruins, everyone's a fan. The four-time Super Bowl champion New England Patriots are based out of Gillette Stadium. 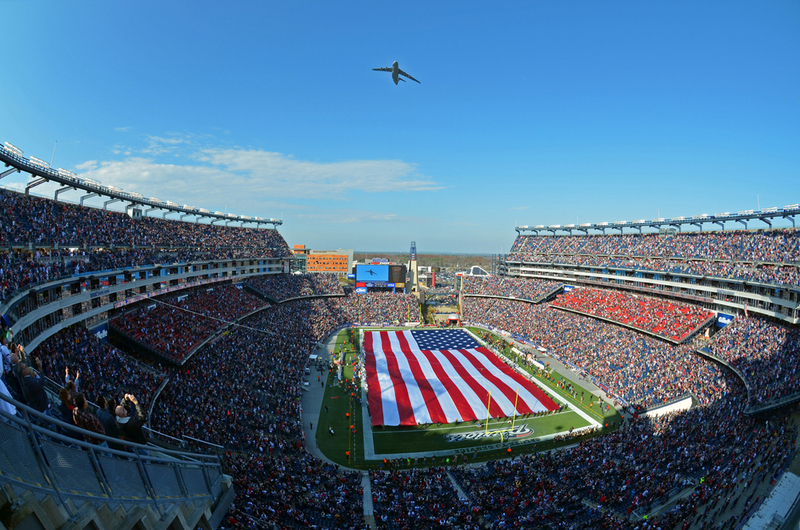 The Foxborough stadium is a 40 minute drive southwest or an easy train ride on the commuter rail from Boston. The home of the Red Sox next to the gigantic story-high neon Citgo sign, Fenway Park, is a short 10 minute walk from the Newbury Guest House hotel. Even on sold-out dates to home games, a certain number of tickets are released on the day that can be purchased at the Fenway ticket gates So, it's always worth the walk to Fenway Park to see if you can grab a bleacher seat! Tours of the Park are also available. The TD Garden is home to both the Celtics and the Bruins. Only four subway stops away on the Green Line of the subway, it is also within easy reach of the Newbury Guest House hotel. Our front desk concierge can answer any questions about sports events and help guests purchase tickets. The Newbury Guest House features our on-site bakery, Patisserie On Newbury. Additionally, Newbury Street is made up of a cornucopia of restaurants that serve up local Northeastern foods as well as an excellent diversity of dishes from all over the world. Our front desk concierge team has inside working knowledge of Boston's diverse neighborhoods and private restaurants. We can make wonderful recommendations and are happy to arrange reservations for guests.